See "12/28/10 Buffalo News story" By Rick Pfeiffer. See "12/27/10 Buffalo News story". The Grand Island Fire Company responded to Whitehaven and Stony Point roads at 5:49 p.m. Thursday, December 23, 2010 for an automobile accident. 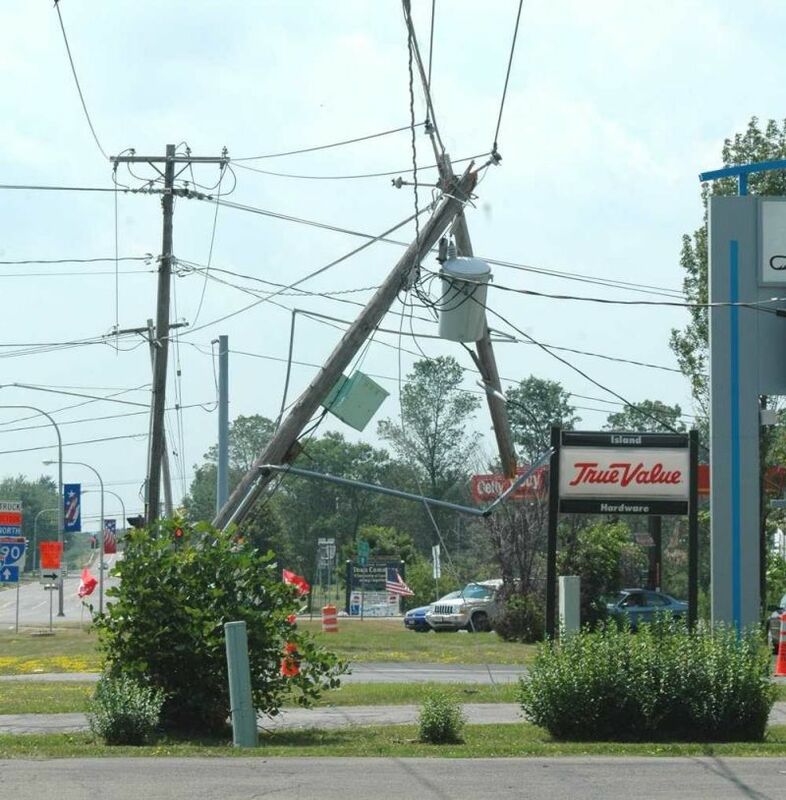 Fire Chief Greg Butcher established incident command and reported this to be a single vehicle accident where a car struck a light stanchion, causing a power outage. Traffic in the area was shut down. The GIFC evaluated two patients and both were transported to the Erie County Medical Center by Twin City Ambulance. National Grid and the Grand Island Highway Department were requested and responded to the scene. The GIFC returned in service at 6:28 p.m. Further details may be added as they become available. See "12/23/10 Buffalo News story" By Aaron Besecker. The New York State Office of Parks, Recreation and Historic Preservation has announced the lottery drawings for the second half of Waterfowl Hunting Season at Beaver Island State Park. The draws will be held in the Grand Island Community Center, located within the Nike Base Park at 3278 Whitehaven Road, Grand Island, NY. Doors will open at 5:00am and the draw begins at 5:30am sharp each day of the hunt. There will be one exception: The draw for Saturday, 1/1/11 will be done on Friday, 12/31/10. A boat is required to be on site, �at the ready�, for use in retrieving or rescue, as necessary. Again this season, we will also be including a DEC Universal Access Blind located on East River Road at Spicer Creek Wildlife Management Area (north of the cemetery). Waterfowl hunting is restricted to the wooden Universal Blind structure only. 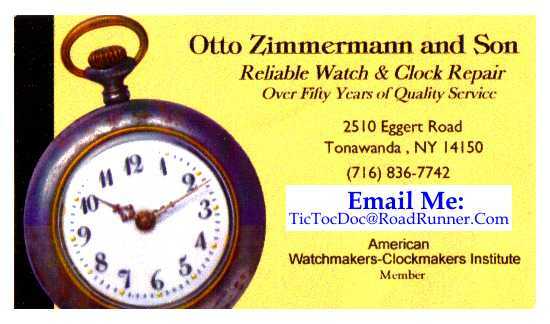 You may contact the Park Office at (716)773-3271 on weekdays between 8:00am and 4:30pm for more information. December 22, 2010 --Residents of Grand Island and the American Red Cross can join together for a special blood drive on Tuesday, December 28, from 12:30 � 6:30 p.m. at Grand Island Fire Hall, 2275 Baseline Road in Grand Island to help support the community blood supply. This is also a food drive to support the Food Bank of Western New York, so all donors are encouraged to bring non-perishable items to donate. All presenting donors at this blood drive, and at all drives in December in the New York-Penn Region, will be eligible to enter a raffle to win one of four Home Theater Entertainment Packages*, courtesy of Best Buy, which include a large, flat screen TV, a Blu-ray player and a surround sound stereo system. Additionally, all presenting donors will enjoy free pizza. Blood donors are always needed, as each donation has the potential to save up to three lives. Red blood cells help people with severe trauma injuries and chronic anemia. Platelets benefit cancer patients undergoing chemotherapy, and plasma helps burn victims and patients with critical diseases. During this holiday season, when you give from the heart, it is the perfect gift. A lifesaving blood donation costs only an hour of your time. By donating blood with the American Red Cross, you give the most precious gift of all. Eligible volunteer blood donors are asked to please call 1-800-RED CROSS (1-800-733-2767) or visit redcrossblood.org to make appointments. Individuals who are 17 years of age (16 with parental permission in some states), meet weight and height requirements (110 pounds or more, depending on their height) and are in generally good health may be eligible to give blood. Positive identification is required at the time of donation. The Grand Island Fire Company's rescue crew responded to a call for help when a man fell through the ice at the River Oaks Marina at 9:51 a.m. Sat., Dec. 18, 2010. The caller reported that the victim was being held up by one person. Fire Chief Greg Butcher, the rescue crew and the Erie County Sheriff's Dept. responded to the scene immediately and the victim was taken out of the water and on the dock at 9:59 a.m. The victim was transported to an area hospital by Twin City Ambulance. A more complete story may be added as it becomes available. See "12/18/10 Buffalo News story" By Gene Warner. See "Updated Buffalo News story" by Jay Rey and Gene Warner. The Miracle League of Grand Island & WNY is a new Island organization for the benefit of athletes who are physically and mentally challenged and a special baseball diamond will be built for them as soon as possible. The Miracle League of Grand Island had another successful fundraiser thanks to community support. Vinnie and Joann Ciffa hosted a chili fundraiser on Monday, December 13, 2010 with the help of The Riverstone Grill on East River Road. Despite the cold and snowy night, about 100 people came out to support the miracle league. The Riverstone's famous million dollar chili was served along with pulled pork sandwiches, beer and pop. Vocalist/Guitarist Scotty Millitello performed all night and was awesome, and many lucky people went home with some great prizes from the basket raffles! The SOHO's donation of $500.00 worth of bar tabs was the basket everyone wanted. Thank you SOHO!! Michelle Kehoe was the 50/50 winner and donated her winnings back to the Miracle League, a great help in reaching our goal. Thank you Michelle!! For more information on the Miracle League of Grand Island & WNY, contact President Teresa Hooper at 773-9398 or Vice President Fran McMahon at 773-9707. The Miracle League of Grand Island & WNY website will be live shortly, so keep on checking. The Miracle League of Grand Island & WNY is a not for profit group needing to raise $250,000.00 to build a customized rubber baseball diamond. The Town of Grand Island donated land at Veterans Park behind the library, and next to the Rotary shelter. "Our goal is to be playing ball by July 2011," President Hooper said this week. Any size donation would be greatly appreciated and may be mailed to PO 833, Grand Island, NY 14072 or "call one of us and we can pick it up." Beaver Island State Park is currently issuing permits that will allow snowmobilers to use the more than 12 miles of designated and signed snowmobile trails on State Park property, located on Grand Island. The trails will be open between the hours of 10 a.m. and 10 p.m. beginning December 15, 2010. Permits will be available at the Beaver Island State Park Office on weekdays between the hours of 8 a.m. and 4:30 p.m.
For further information, contact the Beaver Island State Park office at 773-3271. The New York State Office of Parks, Recreation and Historic Preservation has announced that due to ongoing site work adjacent to the Beaver Island State Park sledding hill, the hill will be closed to sledding this winter. The work when completed next year, will restore several acres of marsh land to the Little Beaver Island and provide improvements to the sledding hill. Additionally, due to the work, park traffic will be re-routed until further notice. Those wishing to access the park office will have to enter the park from West Oakfield Road. Directional signage will be provided. For more information, please contact the Beaver Island State Park office at 773-3271. See "12/8/10 Buffalo News story" By Matt Glynn. The Grand Island Fire Company received numerous calls reporting a structure fire at 2614 Whitehaven Road at 5:16 p.m. Monday, December 6, 2010. Firefighters on arrival reported smoke coming from the two-story house which was heavily involved. The occupants of the house, Mr & Mrs Clarence Beard, were not at home when the fire broke out. Fire Chief Greg Butcher established incident command at 5:31 p.m. He later noted that the cold weather did make firefighting operations difficult along with a frozen, out of service hydrant. The fire was based on the 2nd floor and all occupants were out of the house when the GIFC arrived. Chief Butcher requested National Grid and National Fuel to respond to the scene. At the request of the chief, Sheridan Park Vol. Fire Company and the City of Tonawanda Fire Department also responded. The volunteers worked to extinguish the fire for four hours. The cause was still under investigation, and current damage was estimated are at $600,000 (structure and contents). A Fire Company report will appear at Isledegrande.com on Thursday, December 9. The count is completed! 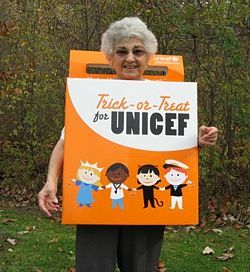 The total of all the Trick-or-treat for UNICEF coins and bills is $2,285.51. This exceeds last year�s total of $2,227.06. $25 can provide pencils and notebooks for 52 children. $50 can provide 333 children against polio for life. $300 can supply enough basic family water kits to meet the needs of 20 families during an emergency. $1,285 can supply five �School-in-a-Box� kits to help resume education for children affected by natural disasters or armed conflicts. Each kit contains enough for a teacher and up to 40 children. Lee Tetkowski, UNICEF Chair for Grand Island, thanks each of you who added to this critical fund! Or did you prepare for Trick-or-Treaters who never came? Checks in any amount made out to U. S. Fund for UNICEF can still be mailed to her at 1530 Whitehaven Rd. See "11/20/10 Buffalo News story" By�Phil Fairbanks. See "Buffalo News story" by Aaron Besecker. Left: VFW Commander Alan Lee, VFW Chaplain Mike Rogan and Supervisor Peter McMahon. 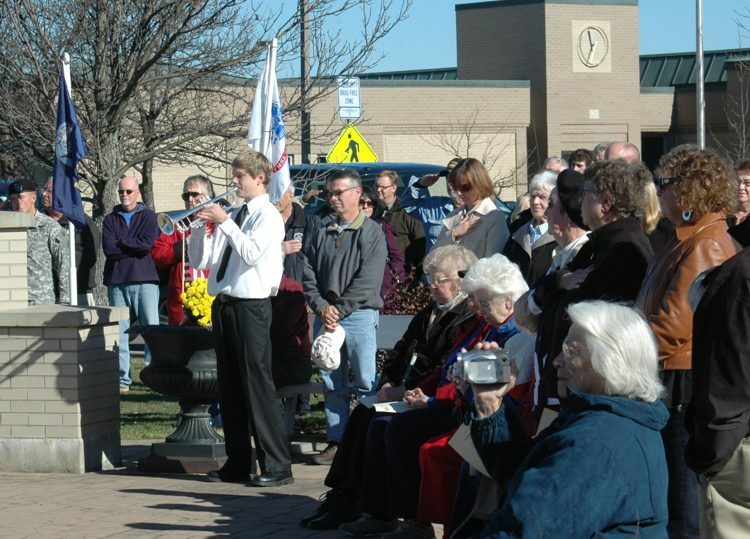 The Veterans Day service on Thursday, November 11th was very well attended and the attendees enjoyed beautiful, sunny weather. 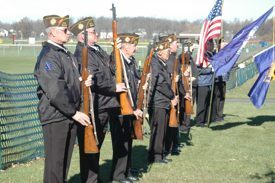 The Boy Scouts of Troop 630 presented a "Salute To Our Service Veterans of WWII". Each of the scouts interviewed a number of veterans in the weeks leading up to the service, then gave a short biography and introduced the surviving veterans. This project began when retired Grand Island teacher Joan Droit spoke with Supervisor Peter McMahon about honoring our veterans. See "11/6 ReTree" for details. ClockDaylight Saving Time will end on the last possible day this year in the United States since November starts on a Monday. 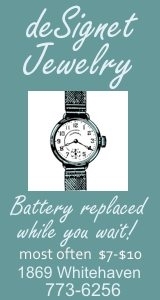 Daylight Saving Time ends at 2 a.m. on Sunday, November 7, 2010. At 2 a.m. on Sunday we will "fall back" one hour to 1 a.m., proving an extra hour of sleep but also creating the illusion of waking up an hour earlier than usual. Mornings will be lighter and evenings will be darker earlier as we return to Standard Time until March 13, 2011. A large tree on Love Road near West River was uprooted by strong wind gusts on the morning of Thursday, October 28th, causing downed power lines. Love Road was closed until the roadway could be cleared and power lines restored. Pictured left are Lee Tetkowski and Kirsten Sheldon from UNICEF; and Ms. Sheldon addressing the students at Huth Road Elementary School. The third photo is Lee Tetkowski who has been the Island Chair for over 50 years! To celebrate the 60th year of Trick-or-Treating for UNICEF twenty-five schools were chosen to have a special program with a visitor from New York City. When our Grand Island UNICEF volunteer coordinator, Lee Tetkowski, received the news that Grand Island schools were one of them because of our continuous participation, she notified the principals of our elementary schools. Mrs. Kerri Nowak from Huth Road School responded promptly, and so there were two assemblies there on Thursday, October 21, with delightful Kirsten Sheldon sent here from UNICEF headquarters in New York City. Miss Sheldon presented a moving power point program showing our boys and girls and what their coin collection on Halloween actually does in far away places for real boys and girls there. One particularly impressive shot was of the group sitting on the ground under a tree having school right there with nothing but one portable chalkboard. Our children saw inoculations being given to protect the health of babies, saw water being carried great distances by their age-mates, and saw the most welcome UNICEF delivery trucks bringing food. The children were very responsive during the question period. One question was, �What do we do with the orange boxes after we collect?� They were told to remember to return those full boxes to their teacher. As in many past years, all Grand Island schools� UNICEF boxes have already been delivered to them and will soon be distributed to every child who wants one. After Halloween they will all be collected and opened by Boy Scouts under the direction of Hal Pierce. After the sorting and filling of big bags, the collection will be taken to our local HSBC Bank to be counted. We hope this year�s total will be a generous one! This new "loop" should ease the back up motorists have been experiencing as they come off the south bridge. A few motorists on Wednesday, October 13 when the photos were taken got a little confused as they approached the intersection intending to stay on Grand Island Blvd. but kept to their right taking them on to Staley Road where they then had to make a sharp u-turn. The round-about contract completion date is the end of November. The Contractor is hoping to be done and out of there by the end of October. They will start to excavate for the actual round-about today (Oct. 14) or tomorrow. The work on the pedestrian safety islands will begin Monday, October 18 and should be done by mid-week (weather permitting). As soon as the islands are done they�ll begin the final paving. If they can meet the end of October goal, the round-about planting will be done this year. If the completion date gets too far into November the planting will be done in the spring of 2011. 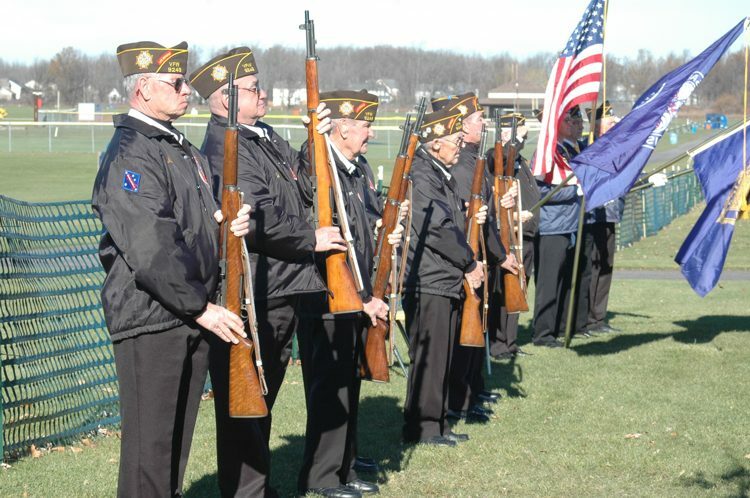 The Town of Grand Island will be honoring Veterans of past military campaigns during its annual Veterans Day program. This year World War II Veterans will be honored. 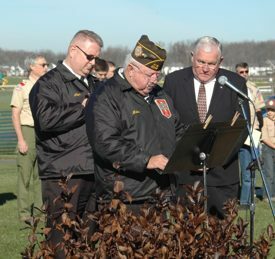 A preselected Boy Scout will be contacting WWII Veterans to do a brief interview and prepare, under adult supervision, a verbal salute which will be read during the Veterans Day Program. WWII Veterans, family members, and friends are cordially invited to attend the program on Thursday, November 11th, at 11 a.m. at Veterans Park located at 1717 Bedell Road. 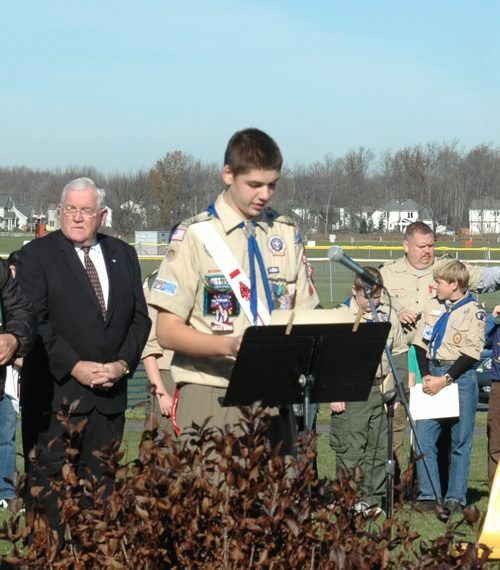 Each Veteran will receive a copy of the Veterans Day program and excerpts from the Scout�s interview presentation. Grand Island WWII Veterans are asked to contact the Parks & Recreation Department if you will be attending the Program on November 11th, or if you will be represented by a family member. Please respond by calling the Recreation Department at 773-9680 by 3 p.m., or you may send an e-mail to recreation@grand-island.ny.us. The Town of Grand Island extends a very gracious Thank you in advance for your time and participation. We hope to hear from you as soon as possible. Buffalo News Story - Published: September 21, 2010, See story. The volunteer group Citizens United for Justice is asking Grand Island residents to fill out a health survey to determine the impact of emissions from Tonawanda Coke. Check out the above story and the links below for more information. 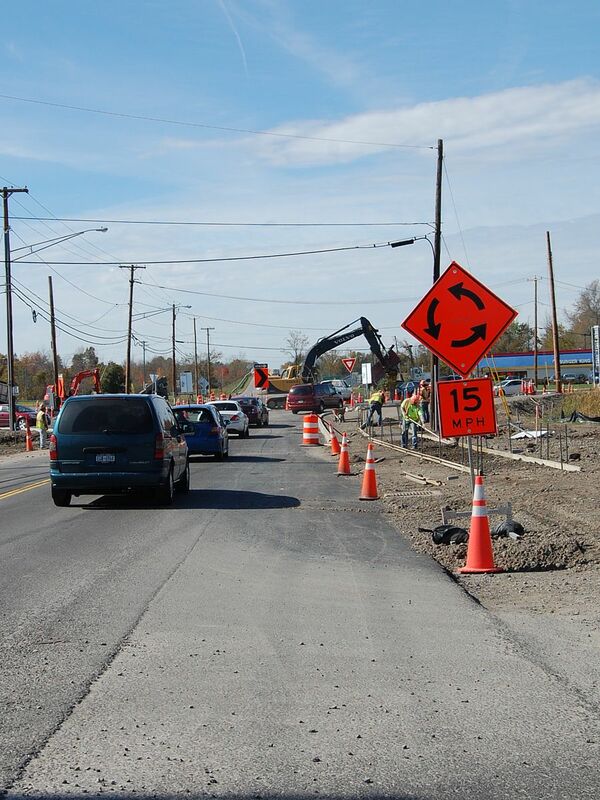 The northbound lanes of the South Grand Island Bridge will close overnight as the contractor tries to make up for this week�s delays in the ongoing bridge construction work caused by rainy weather, the Thruway Authority announced. The northbound South Grand Island Bridge is scheduled to close for the construction work at 10 tonight and to reopen by 8 a.m. Saturday. 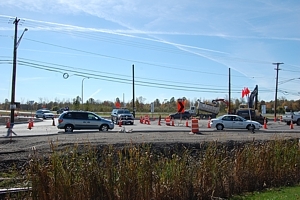 Motorists heading north on the Niagara Thruway will be diverted to a single lane on the southbound South Grand Island Bridge while the northbound span remains closed. The contractor, American Civil Constructors, is scheduled to finish the polyester concrete overlay with this additional day if there is no rain. The schedule for next week begins Sunday through Wednesday with nightly closures from 9 p.m. to 6 a.m. On Thursday, the northbound bridge will close at 8 p.m. and reopen at 6 a.m. The contractor has been working on the South Grand Island Bridge since mid-April. See "Use It Or Lose It". The Grand Island Fire Company headquarters was a very busy place on Thursday, September 23rd. The downsizing of the town board vote was finally here. Isledegrande received 18 letters to the editor regarding this issue, and the signs for and against were numerous on properties throughout the island. A steady stream of voters began at 6:00 a.m. and was expected to continue until voting ended at 9:00 p.m. Check back for results. See "9/14/10 WIVB 4 story." The Grand Island Fire Company was requested at 3080 Grand Island Blvd., the Budget Motel of Grand Island, for a male possibly having a heart attack at 7:10 p.m. Wednesday, September 15, 2010. Firefighters reported no cardiac patient however one person was attacked by a dog while trying to render aid to the dog's owner who may have suffered a seizure. The Erie County Sheriff�s Dept. and the Grand Island Animal Control officer were requested at the scene and the State Police also responded. The dog was locked up when authorities arrived. The GIFC evaluated two patients with one transported by ambulance to the Erie County Medical Center and one transported to St. Mary�s Hospital, Lewiston by private vehicle. It was another successful year for Paws in the Park as dog owners and their "best friends" convened at Beaver Island Park Saturday, September 11th. The event featured an array of vendors, where almost anything for dogs was available. A two mile walk in the park started off the days activities, which included a judged dog trick, costume and dog/owner look-a-like contest. An agility course for the dogs was also set up. Paws in the Park is the largest fund raiser in Erie County for the SPCA of Erie County. The Fair Weather Crossing at the Nike Base provides a way for trail users to cross Big Six Mile Creek during normal flow conditions, but during periods of high flow the crossing is under water minimizing the obstruction of flow and the entrapment of debris. The plan for the fair weather crossing was developed with the assistance of the Town of Grand Island Engineering Department and a permit authorizing this project was subsequently issued by the New York State Department of Environmental Conservation. 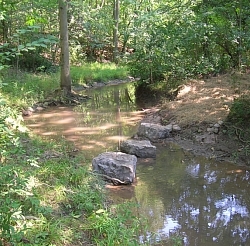 On August 27, 2010 the crossing was installed thus completing the basic nature trail plan. In the near future interpretive signage will be added providing additional environmental educational opportunities for trail users. From left:	Greenway Exec. Director Rob Belue, Councilman Richard Crawford, Supervisor Pete McMahon, Mark Thomas, Beaver Island Park Manager Dave Clark, Assemblyman Sam Hoyt, Sen. Antoine Thompson. The NYS Office of Parks, Recreation and Historic Preservation officially opened the East River Marsh Connector Trail at Beaver Island State Park on Monday, September 13. The project, which was deemed consistent by the Niagara River Greenway and funded by the NYS Parks Standing Committee as part of the relicensing of the New York Power Authority's Niagara Power Project, connects an existing trail from Beaver Island Parkway to the East River Jetty and trail and links a number of recreational amenities on Grand Island including an existing nature trail network and the South State Parkway bike and pedestrian trail. This trail will provide pedestrians safe access to the jetty , trail and accessible boat launch since there are no paved sidewalks on Ferry Rd. Built by Chad Rpbertson Construction of Niagara Falls at a cost of $139,455.60, the trail is constructed of a stone dust, an eco-friendly alternative to a paved surface while providing a safe walking surface. "One of our directives at New York State Parks is to provide connections from the parks to the communities in which we reside. With this trail, we connect a number of public trails and the Niagara River," said Mark W. Thomas, Western Director of New York State Parks. "As the author of the legislation that created the Niagara River Greenway Commission, I am pleased to see new development at Beaver Island State Park," Assemblymember Sam Hoyt (D-Buffalo, Grand Island) said. "This project allows greater access for people who already use and enjoy the trails at Beaver Island. 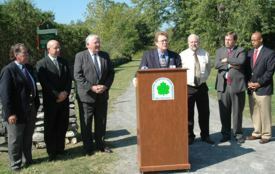 It is encouraging to see that the Commission and State Parks were able to work cooperatively to build this new trail." "As the chair of the Senate Environmental Committee, I am pleased that this trail will offer residents an additional opportunity to explore the beauty of Grand Island and the chance to be outdoors," said Senator Antoine Thompson (D-Buffalo). 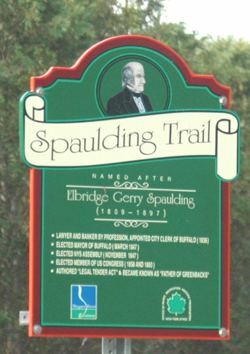 The trail was named after Elbridge Gerry Spaulding (1809-1897), who owned 350 acres of land that included the trail site. 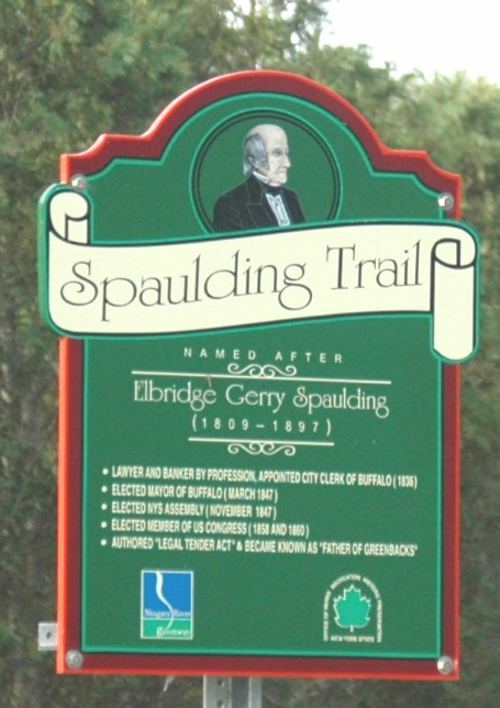 Mr. Spaulding was a lawyer and banker by profession, appointed city clerk of Buffalo, elected mayor of Buffalo and to the NYS Assembly and US Congress. He also authored the "Legal Tender Act" and became known as "Father of Greenbacks." GRAND ISLAND, N.Y. (WIVB) - A Grand Island man has admitted to touching a young girl. Andrew J. Beyer, 64, plead guilty to first-degree attempted sexual abuse. This is a reduced charged. He was charged on August 11th with first-degree sexual abuse and endangering the welfare of a child. Beyer faces a possible prison term of one to four years. There will be an open meeting focusing on the Town Board downsizing issue on Monday, September 13th beginning at 6:30 p.m. The meeting will be held in the Bible Presbyterian Church Family Life Center at 1780 Love Road (across from Wilson Farms). Members of the Town Board and Kevin Gaughan will make presentations and respond to questions. Anyone interested in this issue is invited to attend. The Grand Island CROP WALK is set for Sunday, September 26, 2010 and is starting at 1pm at Kaegebein School. The walk goes from the school to Beaver Island State Park and back for a total of six miles. There is also a �Golden Mile� for those who are unable or don�t want to walk the full distance. We will have a shuttle van for those who �tire� out that will bring you back to the school and an �oasis� at Beaver Island that will provide apples and water. Bathroom facilities will be available at each mile. CROP which represents Communities Responding to Overcome Poverty has been ongoing on Grand Island for many years. The purpose is to raise money to combat hunger both worldwide and here on Grand Island. Of the total money raised, 25% stays here on Grand Island and is split between the Grand Island Neighbor�s Foundation and the food pantry at Trinity United Methodist Church. Last year a total of more than $3,000.00 was raised for this charitable endeavor. WE WALK BECAUSE THEY WALK. May people in the world must walk for hours and days for food and fresh drinking water. These are commodities that we take for granted here as they are so readily available for us. So, to understand, do the following: Place your house in a shanty town. Take away all of your clothing except for your oldest pair of clothes and shoes. Dismantle the bathroom, shut off the running water and remove all of the electrical wiring in your house. Throw away your bankbooks, stock certificates, pension plans and insurance policies. Leave the family a cash hoard of ten dollars. WOW! HOW DIFFERENT YOUR LIFE WOULD BE IF YOU DID THIS!!! We are seeking people to walk with pledge sheets from others for their efforts, donators to help us purchase t-shirt for our walkers, and volunteers to assist us in signing up walkers. We will be at Tops Markets four Saturdays in September from 10am � 2pm to sign up walkers, answer questions and to seek donations from interested people who want to help out. T-shirts for 100 walkers will cost $500.00 and we hope that businesses will consider donating their money towards the t-shirt purchase. So, why not get a group of 5 to 10 people to walk on Sunday, September 26 to help the cause of hunger worldwide and here locally on Grand Island? We hope to see families and friends walking along with businesses, service clubs, school groups, athletic teams and churches, too. Students, this is a good opportunity to earn community service hours that you are required to have. For more information on this year�s Crop Walk and to participate, please contact Paul Robinson at 773-3550 or John Loss at 773-9781. The nature trail at Nike Base Park has been a work in progress for several decades. Completion of the trail turned out to be an elusive goal due to the need for a crossing of Big Six Mile Creek. A variety of projects were proposed ranging from the installation of expensive bridges to the use of recycled railroad cars or long haul flatbed truck trailers. None of these proposals were compatible with the natural character of creek corridor or the adjacent woodlands and most were judged to have an adverse impact on the environment warranting possible rejection of the necessary regulatory permits. During the fall of 2009 members of the Town of Grand Island Commission for the Conservation of the Environment met on the banks of Big Six Mile Creek to discuss alternatives. Commission member Paul Leuchner, also a former Niagara River Greenway Commissioner, suggested the use of a Fair Weather Crossing composed of natural materials. He noted that similar crossings had been used successfully throughout the country. 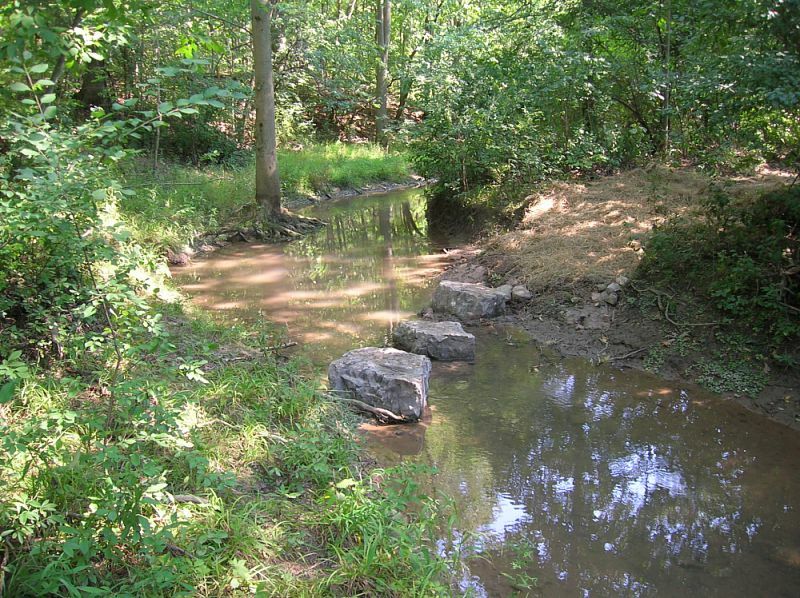 The Fair Weather Crossing provides a way for trail users to cross a stream or creek during normal flow conditions, but during periods of high flow the crossing is under water minimizing the obstruction of flow and the entrapment of debris. A plan for a fair weather crossing at Big Six Mile Creek was developed with the assistance of the Town of Grand Island Engineering Department and a permit authorizing this project was subsequently issued by the New York State Department of Environmental Conservation. On August 27, 2010 the crossing was installed thus completing the basic nature trail plan. In the near future interpretive signage will be added providing additional environmental educational opportunities for trail users. 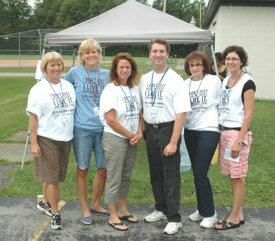 An afternoon mini carnival was held on Thursday, August 26 at Connor Middle School, and Friday, August 27 at the Grand Island High School for those who attend the Just For Kids before and after school program. 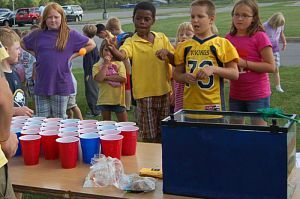 The carnivals were an opportunity for the kids to "meet and greet" each other before the school year's program begins. Just like a good old fashioned carnival, there were many games, including pick a duck, ball toss and balloon toss, to keep those who came busy, and of course cotton candy to satisfy one's sweet tooth. A silent auction and bake sale were also held in conjunction with the carnival. Just for Kids is the "New Generation" of School Age Programs to offer high quality before & after school programs for elementary and middle school students. 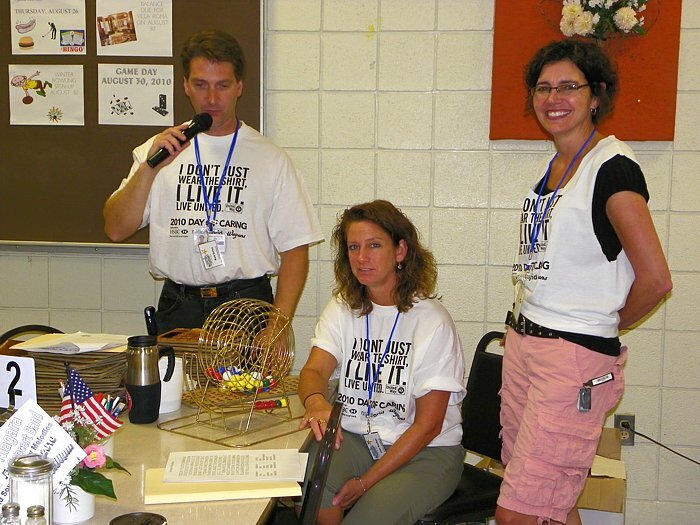 Located at the Grand Island schools, they provide students with an array of activities to enrich and support learning. The town Traffic Safety Advisory Board has sent out a press release, please review the following: School starts Wednesday September 1st. Watch for stopped school buses. The first week of school brings a lot of anticipation and excitement to everyone - kids, parents and bus drivers and usually a lot of confusion also. This calls for super alertness on the part of all drivers. While children are taught to cross in front of the bus they may run to and from the bus in all directions. Be sure to check your rear view mirror and slow down gradually when having to stop. This will slow down drivers behind you making it easier for them to safely stop. Be patient, our Grand Island bus drivers are usually very courteous and when stopping for a many stops or for an extended time, they will pull over to the side of the road and allow traffic to proceed. Be extra cautious with the new bus routes and be especially patient near the school drop offs. Let's all cooperate to help make this school year an enjoyable and safe one. The Grand Island Fire Company responded to a report that a 2-inch, high pressure gas main was struck by a contractor at Grand Island Blvd. and Staley Road at 10:53 a.m. Monday, August 30, 2010. The Boulevard was immediately shut down in both direction however southbound Boulevard traffic was being directed through the Burger King parking lot. National Fuel shut the gas off at 11:25 a.m. 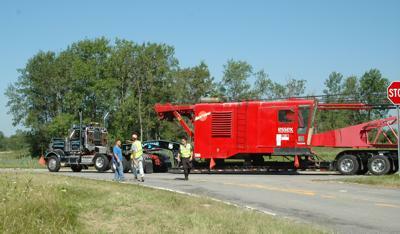 The GIFC returned in service at 11:32 a.m. at which time traffic control was turned over to the contractor. As the SPCA�s longest-running fundraiser, the Paws in the Park Walk presented by Keller Technology Corporation invites people to come with (or without) their dog to a two-mile walk at Beaver Island State Park on Saturday, Sept. 11, 2010. The day includes lunch for participants, the opportunity to interact with 50+ pet-related vendors and exhibitors, judged dog trick, costume, and dog-owner look-alike contests, an agility course for the dogs, and fun for children and adults alike with inflatable bounce houses. See "Paws in the Park Walk 2010" for complete information. The Grand Island Town Board members and Kevin Gaughan have been invited to an open discussion regarding town board downsizing on Tuesday, August 31 from 6:30-8:30 p.m. at the Grand Island Memorial Library 1715 Bedell Road. The purpose of this meeting is education on the pros and cons of the September 23rd vote to downsize the Grand Island Town Board. A second meeting is scheduled for Monday, September 13th with the same details as above. Just for Kids is the "New Generation" of School Age Programs to offer high quality before & after school programs for elementary and middle school students. 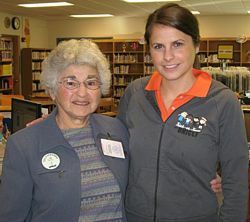 Located at the Grand Island schools, they provide students with an array of activities to enrich and support learning. A meet & greet will be held at the Connor Middle School on Ransom Road, Wednesday, August 25th from 6:00 p.m. - 8:00 p.m. For more information, call 639-8500 or visit their website www.justforkidsonline.org. There will also be a Summer Mini�Carnival at the Grand Island High School August 26, from 4:00-7:00 p.m. All proceeds to benefit Cradle Beach Camp. Right: GICS Volunteers, Sue Carter, Suzanne Pfleger, Jude Kuehne, Mark Gorton, Toni Brown and Lisa Gallagher. The United Way Day of Caring began in 1992 and promotes volunteerism in the community. This year, Day of Caring was Wednesday, August 18th. Volunteers from the 107th Airlift Wing, Niagara Falls Air Base and the Grand Island Central Schools spent the morning at the Grand Island Nike Base painting the outside of the maintenance building and inside the Golden Age Center craft room. Some of the volunteers entertained the seniors by holding bingo and trivia games. Supervisor Peter McMahon and Recreation Director Linda Tufillaro welcomed the volunteers in the morning with refreshments and instructions. Grand Island Town Board members and Kevin Gaughan have been invited to an open discussion regarding town board downsizing on Thursday, August 19 from 6:30-8:30 PM at the Grand Island Memorial Library, 1715 Bedell Road. The purpose of this meeting is education on the pros and cons of the September 23rd vote to downsize the Grand Island Town Board. Grand Island, NY- Starting this week, community liaisons from Assemblymember Sam Hoyt�s office will be holding office hours in the Grand Island Memorial Library. This �Drop in Program� is designed to give those residents who are unable to contact the local Government office directly the opportunity to be heard. �This is a chance for Grand Islanders to have direct contact with my office so that we can hear your thoughts, concerns, and ideas. I am committed to helping the residents of Grand Island, and through this �Drop in Program� I will have a greater understanding directly from the residents of what they want and need. So feel free to come out and say hello,� said Hoyt. Assemblymember Sam Hoyt�s Community Drop in Program is every Wednesday from 11 a.m. to 2 p.m. at the Grand Island Memorial Library, 1715 Bedell Rd. Assemblymember Sam Hoyt represents the 144th Assembly District. The Grand Island Fire Company responded to a two-car motor vehicle accident at Baseline and Fix roads at 10:33 p.m. Thursday, August 12. Three patients were assessed with two transported to ECMC and one to Kenmore Mercy Hospital. The GIFC returned in service at 11:11 p.m. with several firefighters remaining to assist law inforcement. The Grand Island Fire Company responded at 6:04 a.m. Friday, August 13 to 2488 Grand Island Blvd., Rocky's Pizza where a vehical struck a parked car in the parking lot. The drive were extricated and transported to ECMC by Twin City Ambulance. The GIFC returned in service at 6:29 a.m. The South Bridge project will require the closing of Access Road E underneath the South Grand Island Bridge for two weeks, starting August 16th. The large crane which is being used for the deck replacement project will be located on the road between the two bridges. Access Road E connects the south end of Stony Point Road and the Beaver Island Parkway with the north section of Stony Point and Grand Island Blvd. This road is currently being used as part of the detour for the South Bridge. The road closure will be in place 24/7 for the entire period. Beginning on Monday, August 16th, the NYS DOT and the contractor working on the Youngman interchange will be placing the steel girders for the new overpass. This will result in lane closures and traffic stoppages. The work will continue each night through Thursday, August 19th. Monday & Tuesday, the lane closures will be in the northbound lanes of the I-190. There will be a lane closure which could start as early as 6pm. In addition to the lane closure, traffic will be completely stopped for periods of approximately 15 minutes as the steel beams are lifted into place. Work is expected to be completed and all lanes open by 6am each day. Wednesday and Thursday, the lane closures will be in the southbound lanes. The lane closures and traffic stoppages will be about the same as the 1st two nights. Traffic is expected to be heavier on these evenings than on Monday and Tuesday. The heavier traffic will increase the congestion and delays. The Thruway Authority is considering closing the South Bridge early on Wednesday and Thursday in order to coordinate with the closure for the interchange work. Motorists should expect lengthy delays during work periods. Authorities recommend that motorists avoid the area if possible during this work. August 16, 2010 marks the 70th Anniversary of the U.S. Army Airborne Forces. The Parachute and Glider Troopers were instrumental in gaining Victory in World War II, in both the European and Pacific Theaters of Operation. The Airborne Forces are presently serving in many areas of the world fighting terrorism. Units of the 82d Airborne Division, 101st Airborne Division and US Special Forces are serving in Afghanistan and Iraq. Our prayers are with our Troopers. The Town of Grand Island will Honor the Airborne, Proclaiming August 16, 2010 as National Airborne Day, at the Town Board Meeting at 8 p.m., August 16, 2010. Happy Birthday, AIRBORNE !! ALL THE WAY !!!!!!! Bless You All. ReTree-WNY has helped Grand Island plant 150 trees in the past 4 years. 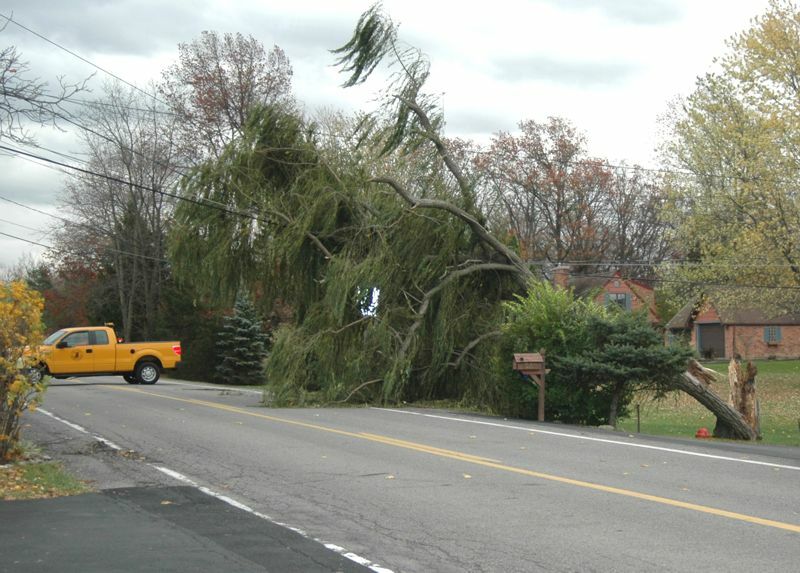 Here�s a chance for residents to help ReTreeWNY. WNY's tree canopy will become a laughing matter as comedians take the stage at Rob's Comedy Playhouse to raise money for Re-Tree WNY. The 2nd Annual Leaves & Laughts takes place Saturday, August 21 at the comedy club beginning at 7 p.m.
See "8/8/10 Buffalo News story." The Grand Island Fire Company responded to a three-car accident on the 190 north bound lane at the south Grand Island Bridge at 11:19 a.m. Saturday, August 7, 2010. The GIFC evaluated eight patients for minor injuries. All signed off. Grand Island Fire Company Fire Police assisted with traffic control throughout the call. The GIFC returned in service at 11:57 a.m. The Ride Grand Island is a new riding and fundraising event supporting The Ride For Roswell. The event being held Sunday, August 8 on the Island features a 3-Mile Family Fun Ride, a 25-Mile route (1-lap around the island) and a 50-Mile route (2 laps around the island). There will be between 100 and 150 cyclist on the roads this Sunday. Use care when driving and please watch out for cyclists. 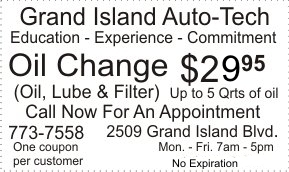 See Ride Grand Island for complete information. The Grand Island Fire Company responded to a two-car motor vehicle accident with injuries at 1868 Stony Point Road at 7:32 a.m. Thursday, August 5, 2010. Two patients were evaluated with one signing off and one transported to Sisters Hospital by ambulance. See "8/5/10 Buffalo News story." The Grand Island Fire Company responded to a report of a possible plane crash in the East Niagara River near River Lea in Beaver Island State Park at 11:02 a.m. Sunday, August 1, 2010. The Fire Company's Marine boats were ready to respond, however, Fire Chief Greg Butcher then reported that the crash was on the Town of Tonawanda side in the area of the foot of Sheridan Drive. The GIFC returned in quarters at 11:15 a.m. after it was determine that a seaplane landed at the same time as a car fire on the 190, causing boaters etc. to assume the plane was burning. See "7/30/10 Buffalo News story." In these poor economic times we are extremely appreciative of a $500 donation to Isledegrande. The money order for this large amount was sent anonymously. Because we have no subscription income, donations help keep Isledegrande.com on the net. Our readership continues to climb and is averaging nearly 8000 visitors per week. Please help us if you can. A "donation" in any amount would be most appreciated. July 29, 2010 . . .The South Bridge contractor has established a detour on East River Road in the vicinity of the Bridge. The Waste Water lift station is the limit on the south side of the Bridge. The stub road from East River to the Beaver Island Parkway is open. Access to E. River, north of the Bridge is via Staley Road or Winkler Drive. 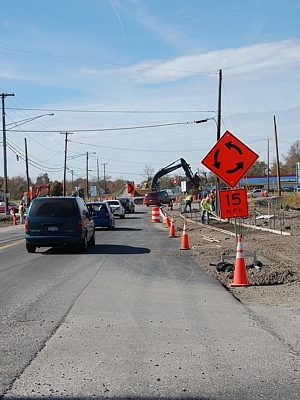 The detour will remain in place for up to 3 weeks. The fifth anniversary of Paddles Up Niagara held on July 24, 2010 at Beaver Island State Park was a big hit with everyone. Now an established family tradition, more than 200 paddlers in various kinds of canoes and kayaks took part. There was an early morning poker run, sprint races in the Little Beaver Island lagoon and a leisurely afternoon paddle on the Niagara River. Prizes and medals were awarded at some of the day�s events. Gold medalist Marc Ornstein put on an impressive freestyle canoe routine that was choreographed to music while Jeff and Laura Liebel of WEKANU demonstrated canoe and kayak rescue techniques. A number of vendors and exhibitors were on hand to guide people in the selection of paddlecraft for personal use and safety equipment. Representatives of the New York State Parks Marine Service Unit were also on hand promoting the �Wear It� lifejacket campaign. Paddlers agreeing to sign the lifejacket pledge were eligible to win a high quality lifejacket designed for use in a canoe or kayak. A total of 50 lifejackets funded by a grant from the National Safe Boating Council were given away to the lucky winners. 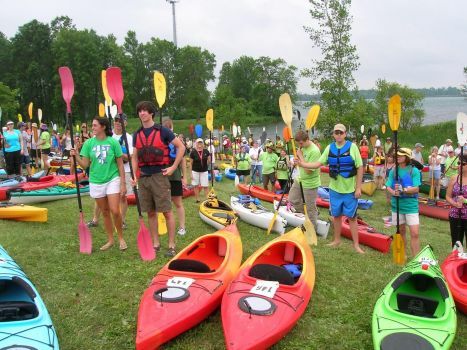 Next year, Paddles Up Niagara will take place at Beaver Island State Park on July 23, 2011. Staff from Beaver Island State Park will present a waterfowl identification course beginning at 6:00 p.m. on Wednesday, August 11 at the Nike Base, 3278 Whitehaven Road, Grand Island 14072. The Waterfowl identification course is required for anyone that plans to hunt waterfowl in a state park. The class if free to attend and reservations for the class may be made by calling the park office at 773-3271. 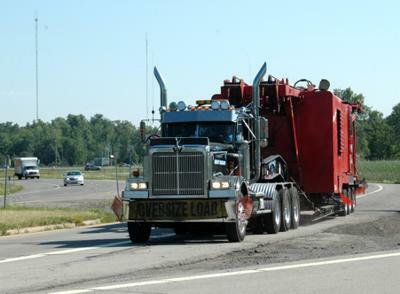 Top: Work barge, Crane house moves down Beaver Island Parkway on ramp. Truck reversing down Stony Point extension. Progress is being made on the South Grand Island Bridge project. On Tuesday morning, July 27th, the "house" of a very large construction crane was brought over the northbound south bridge. It then waited in the service area between the bridges until traffic was slowed down in the southbound lanes, scooted across the 190 onto the Beaver Island Parkway on ramp. Cruising the wrong way on the ramp to the parkway, the truck and crane house then reversed down the Stony Point extension to under the bridge where it was put back together. Surprisingly, this operation was complete in less than an hour. East River Road under the South Bridge will be closed from July 28 through August 13. The South Grand Island Bridge contractor will be moving the giant crane from the Tonawanda side of the river to Grand Island. The move is planned for 5:30 a.m. tomorrow morning (Tues., July 27). The crane will come across the northbound South Bridge to the Grand Island side. At the bottom of the bridge, it will cross over the southbound lanes and travel up the Beaver Island Parkway on ramp against the normal traffic flow. The ramp will be closed during this phase of the move. 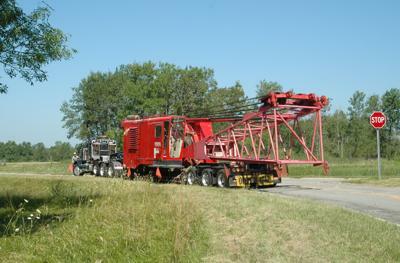 The truck carrying the crane will then back down the Parkway to the Bridge. Access Road E ( the road underneath the bridge ) will be closed during this phase of the move. "The entire Grand Island part of the move is expected to take 15 minutes," Supervisor Peter McMahon said. The Grand Island Fire Company responded to a report of a three-car motor vehicle accident with injuries on the south bound 190 between the on ramp and the south bridge at 1:29 p.m. Friday, July 23, 2010. GIFC medics evaluated two patients who were transported to Kenmore Mercy Hospital by Twin City Ambulance. 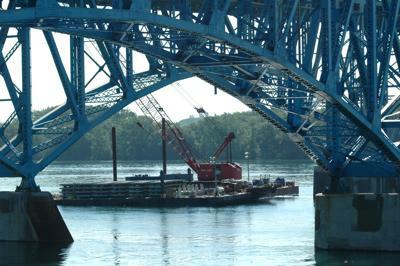 The GIFC returned in service at 2:05 p.m.
Erie County officials have announced that East River, north end, under South Grand Island Bridge will be closed from July 28 to August 13 for staging and placement of bridge deck panels. 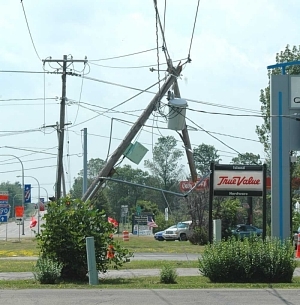 The Grand Island Fire Company was requested at 1889 Whitehaven Road, True Value Hardware Store, for wires down and arching over a vehicle with the driver still inside at 2:16 p.m. Wednesday, July 21, 2010. GIFC firefighters reported the occupant was extricated, that the pole was cracked in half and that the area still had power. No injuries were reported. National Grid responded to the incident, and de-energized the vehicle. The GIFC then continued performing traffic control. It was later reported that the traffic signal at Whitehaven and Grand Island Blvd. was not working. The Town Highway Department was notified. The Grand Island Fire Company returned in service at 2:45 p.m.
New York Taxpayers Party candidate for Comptroller Rus Thompson called on Governor David Paterson to appoint a special prosecutor to investigate corruption in the New York Independence Party (IP). "Independence Party boss Tom Connolly of Rochester is paid $100,000 a year as a 'special project's co-coordinator' for State Senator Carl Kruger of Brooklyn on the Senator's official state payroll" said Thompson. "This is a phony, sinecure job which has no responsibilities or duties. It is a simple, illegal, political pay-off, a rip-off of the taxpayers." "Attorney General Andrew Cuomo is in bed with the Independence Party leadership and is their presumptive candidate for Governor," Thompson, a Tea Party organizer from Buffalo said. "He cannot investigate this matter with impartiality." "Governor Paterson must appoint a special prosecutor not beholden to the Independence Party to get to the bottom of this robbery of the tax-payers," said Thompson. "If Connolly is just doing party business on taxpayers' time, he belongs in jail." Thompson's demand for a special prosecutor comes on the heels of a New York Post story today detailing Staten Island City Council candidate John Tabacco's claim he was required to lend IP Chairman Frank McKay's wife's computer company $10,000 in exchange for IP support. Thompson, a resident of Grand Island, NY, is gathering the 15,000 statewide signatures necessary to run for Comptroller as the Taxpayers Party nominee. 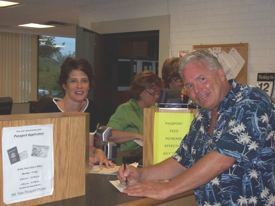 Town Clerk Pattie Frentzel and Michael Owens. Do you like to play soccer and tennis? How about Rock Climbing and Swimming? We do all that and more at the Community Education's Sports Camp for Girls. Girls in grades 2-8 can sign up for an all girls camp beginning July 26 from 8am to 5pm. Camp is located in the High School gyms and pool. Come and play all day and meet some new friends. Call the Community Education Dept at 773-8864 to get more information and register. Hope to see you there!